Total Chiropractic Care Along With Nutrition Helps to Create a Healthier You! 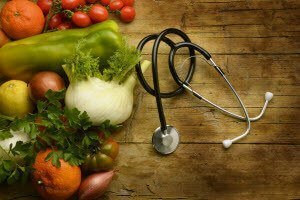 Nutritional counseling has a definite place in a patient’s total chiropractic care plan. The goal of chiropractic is to help patients with their overall health and wellness. This cannot be accomplished without ensuring the body is properly fueled with the right nutrition. Chiropractors help their patients with nutritional counseling by advising them on the supplements they should incorporate in their diet, and the dietary patterns they should follow so they can experience improved health with their total chiropractic care plan. If you want better health and improved wellness, then you should know the right types of foods to eat that will help you move towards your goal. Unlike other types of therapy, chiropractic care focuses on spinal adjustments to help alleviate stress and provide pain relief that results from a spine that is under stress. All of your major organs and all vital functions are controlled by the brain, and if the spine is under stress, serious health conditions can manifest. In order for the body to heal correctly, it needs chiropractic care and the right nutrition. Chiropractors are experts who can educate their patients on the nutrients that will aid in their rehabilitation. Nutritional Counseling is also important because most people do not eat healthy on a regular basis. The lifestyles and the diets are not healthy, and most diet plans that are recommended online and other mediums are usually very low in nutritional benefits. However, nutrition is the fastest way to heal the body. It is true. You are what you eat, and what we eat is presented to the world as a reflection of our health. Total chiropractic care that includes a proper nutrition plan is the combination that will provide you with optimal health and create the best you possible. Learn more about our chiropractic care services by scheduling an appointment with us today.